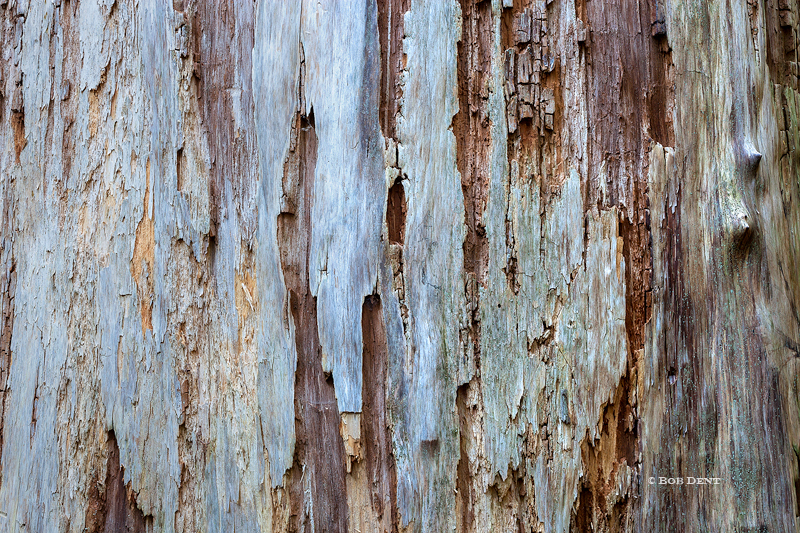 Here are a few new photos from the summer and fall. A fun road trip to the West Coast took us through some beautiful parts of California and a nice stop at Crater Lake in Oregon. Thankfully, the fire happening near the lake at the time was quickly contained. 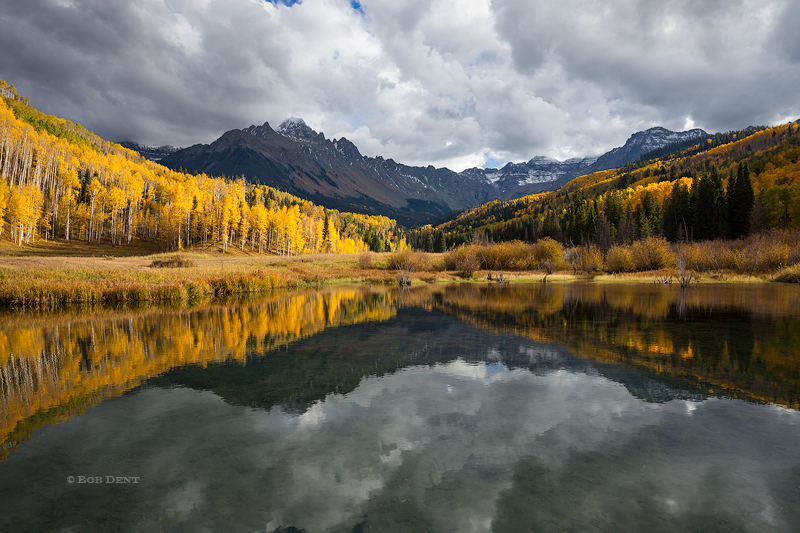 And a trip to the San Juans is always a great way to see Autumn in Colorado. An evening storm reflecting below Mt. Sneffels. Photo © copyright by Bob Dent. 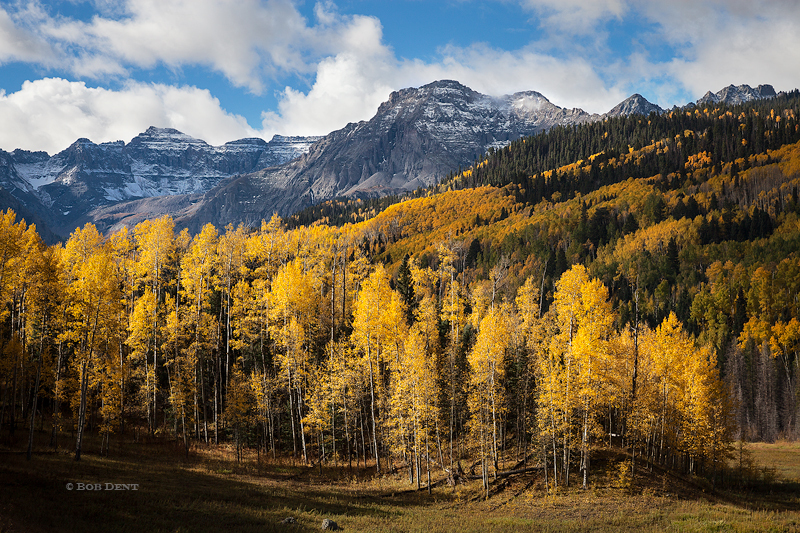 An autumn morning in the San Juan mountains. Photo © copyright by Bob Dent. 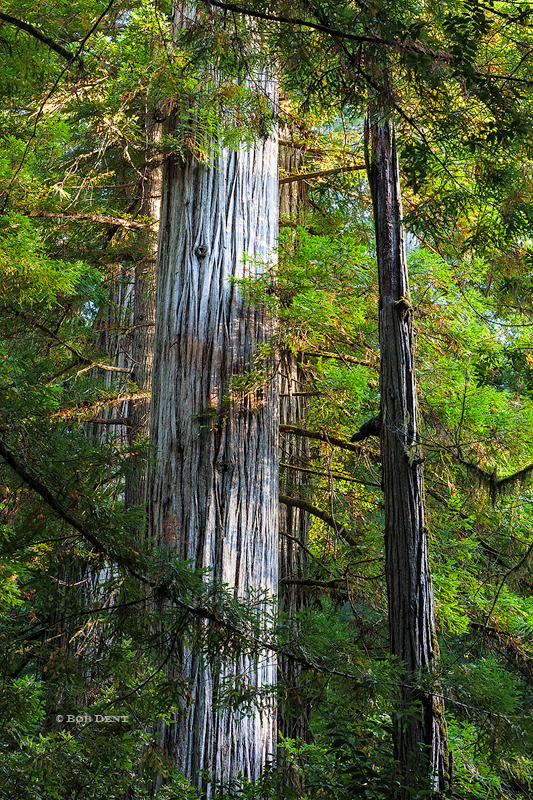 Dappled light dances through a forest of Redwoods. Photo © copyright by Bob Dent. 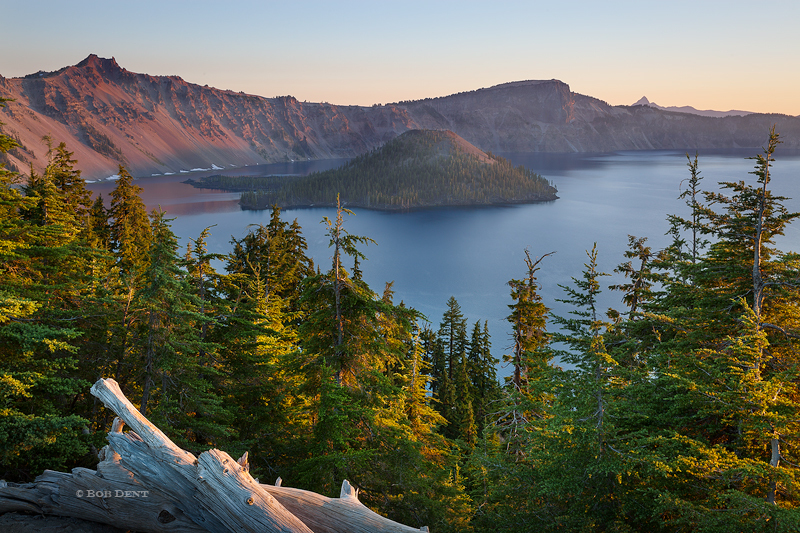 Morning light over Crater Lake. Photo © copyright by Bob Dent. Sunrise colors a large cloud formation over Mt. Sneffels. Photo © copyright by Bob Dent. 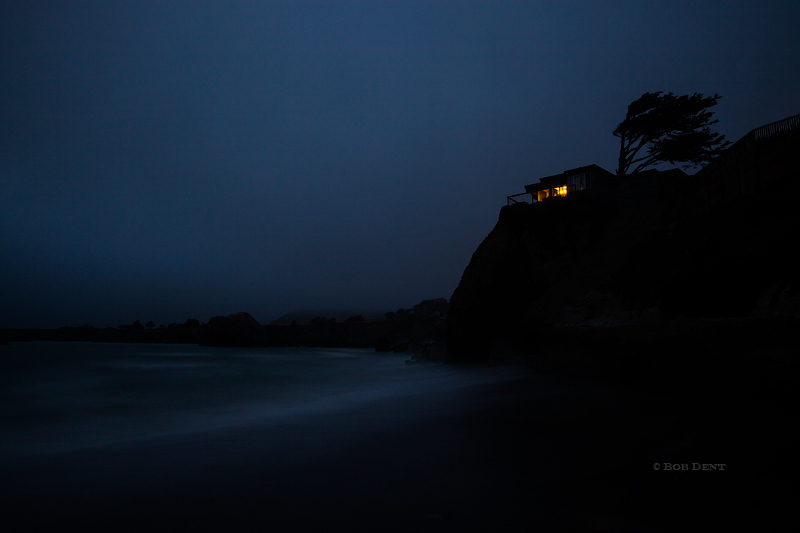 Last light along the coast. Photo © copyright by Bob Dent. 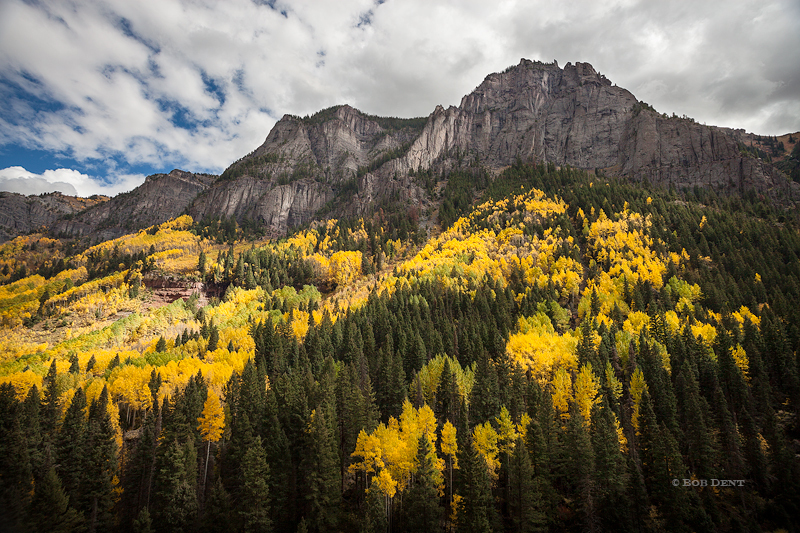 A majestic view of autumn in Colorado. Photo © copyright by Bob Dent. 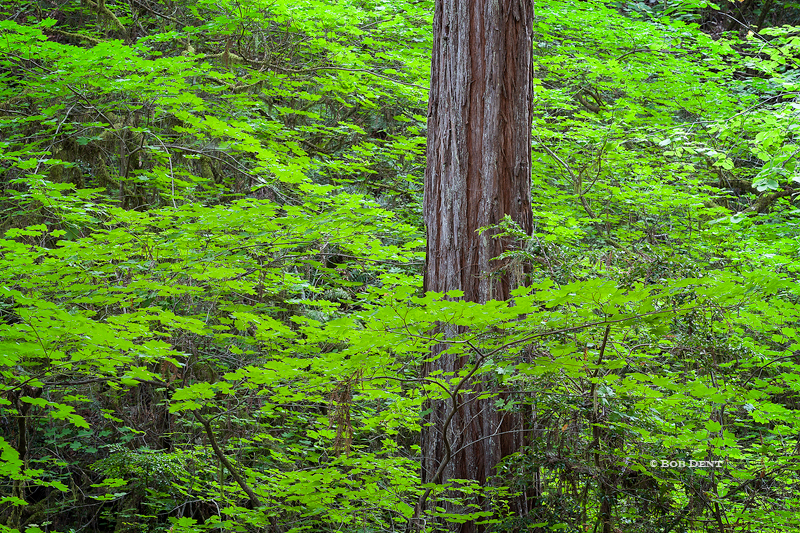 A beautiful sea of green leaves surround a solitary redwood tree. Photo © copyright by Bob Dent. 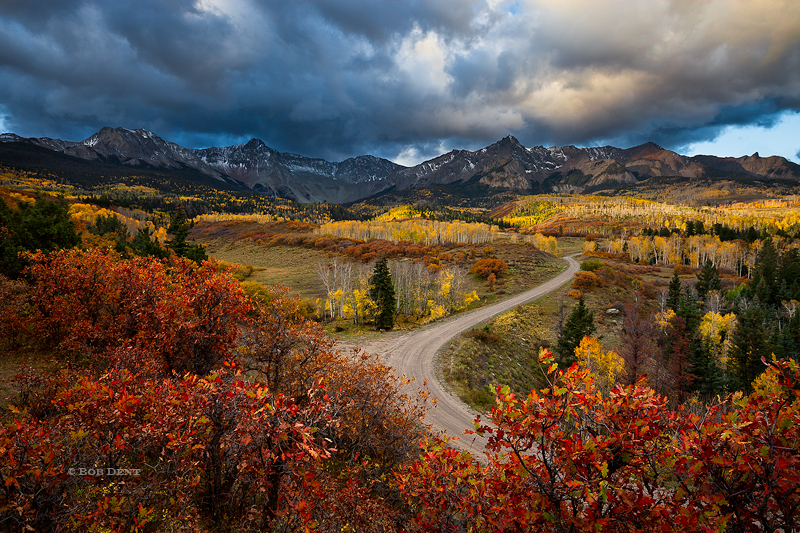 A storm brewing over the San Juan mountains. Photo © copyright by Bob Dent. 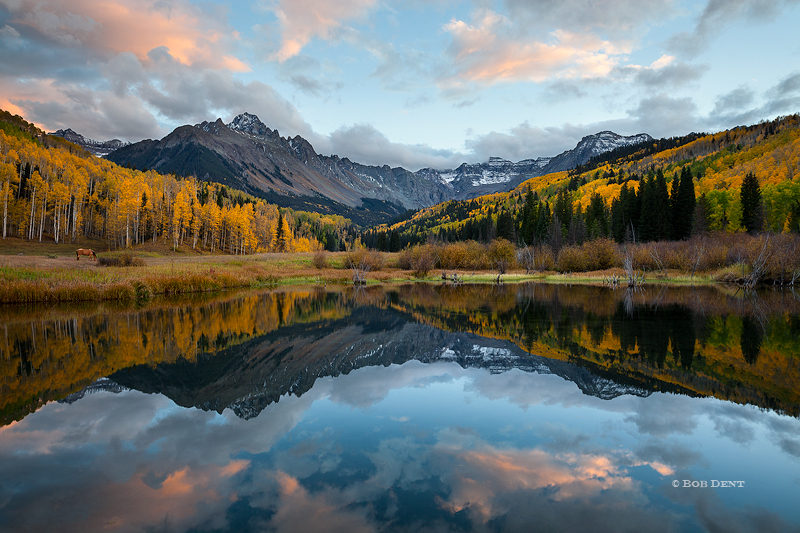 An autumn sunset reflection below Mt. 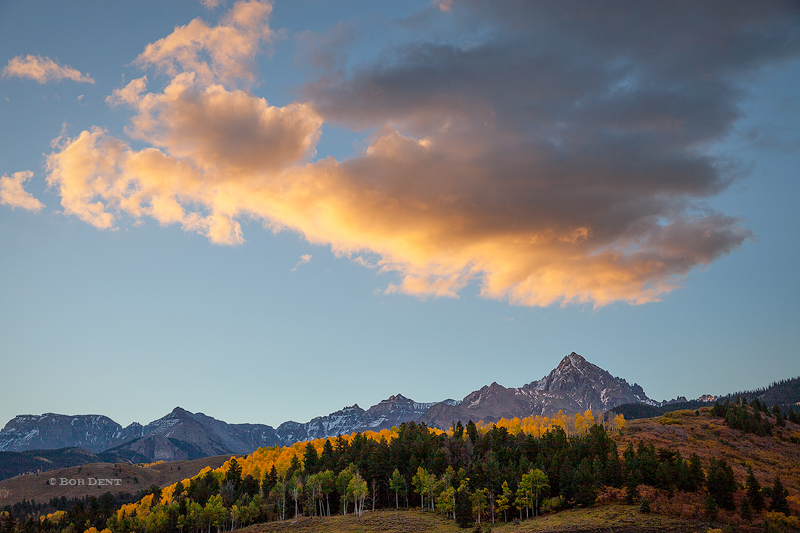 Sneffels. Photo © copyright by Bob Dent.